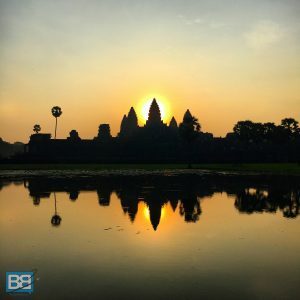 Cambodia is an amazing place to travel if you’re on a budget and as a backpacker Cambodia is one of my favourite spots to explore in South East Asia! Not only is it and incredibly budget friendly country to travel around but it’s such an amazingly friendly place to be in general. There’s heaps of history to explore – from the temples of Angkor Wat to the more haunting modern history of the Khmer Rouge and it has a great mixture of cities, towns and beaches to spend your time at. In fact I’ve just finished of my third time here and it’s still as amazing as my first trip back in 2012! …and I’ve included $USD in this monthly summary as Cambodia uses both the US dollar and Cambodian Riel! 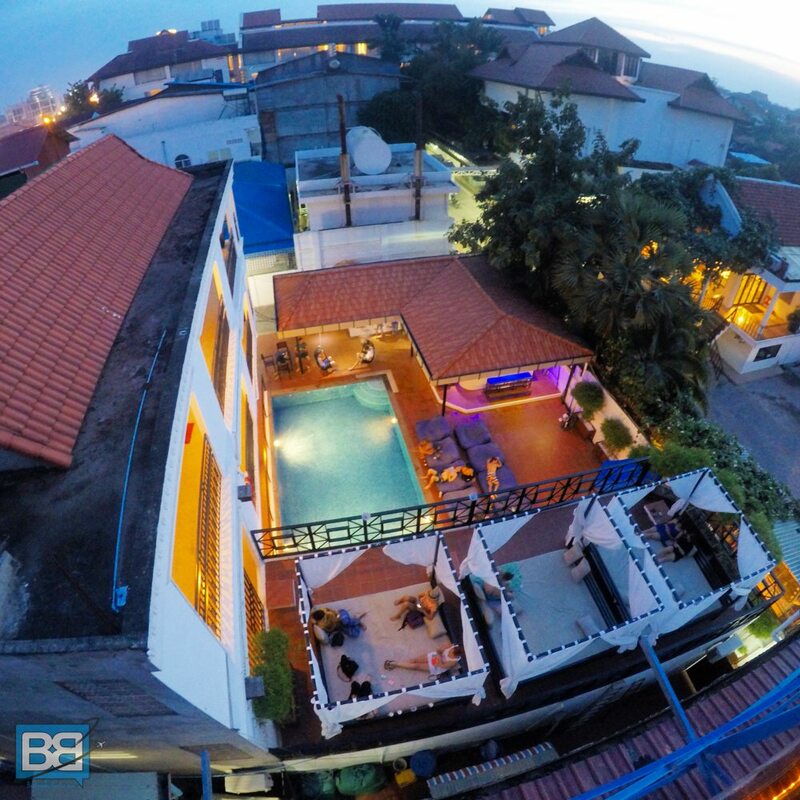 Cambodia, like the rest of Asia, offers up a full range of accommodation options. From affordable hotels complete with pools and room service through to quaint guest-houses and of course budget hostels and flashpacker hostels too. There is seriously something for every style and budget but the overall cost is pretty minimal in comparison to other backpacker destinations so it’s a good opportunity to either stretch your travel budget further or enjoy a bit of upgraded accommodation for a bit! Food in Cambodia is in my experience a little bit more expensive than some neighbouring Asian countries like Thailand, that being said though it’s not going to blow your budget by any means! It’s just a case of hunting around the side streets and street food vendors to find the best value for money and awesome local dishes! 33p A Beer? Oh Go On Then! Favourite place to eat – to be honest I ate at the Mad Monkey Hostels heaps as their food (western and Cambodian) was awesome, if slightly more expensive. New Mom River Restaurant in Siem Reap was my favourite local spot, good food, cheap prices and fast wifi! Travelling around Cambodia is an easy thing to organise on the ground once you’re out there and most hostels and hotels have a transport booking service making it super simple! If your place doesn’t have one there are many tour companies throughout all the major stops you can check out. When it comes to cost I always opt for the slightly more expensive options to keep the comfort level up – especially when it comes to 12 hour, overnight bus journeys! If you’re really budgeting hard though the local transport can be slightly cheaper, but you’re only talking a few dollars here and there. 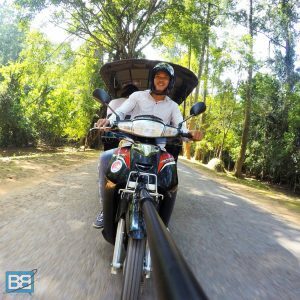 If you’re following the route I took you’ll probably be looking at hitting up Siem Reap, Otres Beach, Koh Rong, Kampot and Phnom Pehn before either heading back to Siem Reap and onwards to Bangkok or bouncing from Phnom Pehn to Vietnam or beyond. On top of this you’ll also be getting some tuk tuks from time to time, but these will only set you back around $1 or less per journey – but remember to haggle! Sunrise Over Angkor Wat Is A Must Do! There is a lot to see and do in Cambodia, but admittedly I’ve kept to the Siem Reap, Kampot, Kep, Sihanoukville, Otres Beach and Phnom Pehn areas. There are plenty of day trips, big tours and stuff to do and plenty to fill a one month stint here if you’re moving at an easy pace! 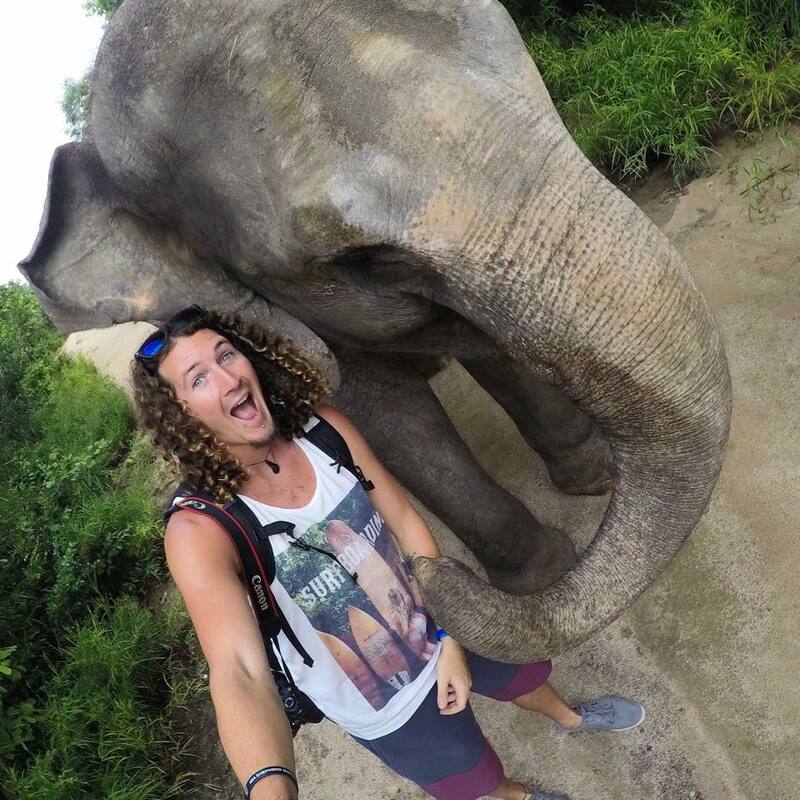 Meet Lucky On The Wildlife Alliance Backstage Tour! At the bare minimum I’d expect most backpackers in Cambodia to do a day trip to Angkor Wat, the two snorkelling/island hopping trips, at least a day tour to Kep and the Killing fields. This does however leave a lot of spare time! For value for money the Kampot Kamikazee tour works out pretty well as it’s 4 days of exploring and also your accommodation and meals too so I’ve included this in the mix. The Wildlife Alliance is a big hit budget wise for a day tour, but if you want to interact with some incredible wildlife and gain some awesome karma points I highly recommend it – but I’ll leave this out for the estimated activities cost. Again the Flight of the Gibbons is a big cost, but it’s also great fun but I’ll leave that down to your personal taste and exclude it in the estimate. Keep in mind that this is a starting price for accommodation, meals, transport and the main activities that Cambodia offer up. Of course there will be other day trip costs on top of this depending on how you want to pad out your itinerary, random tuk tuk journeys and of course that also excludes alcohol…but to be honest you can keep the booze costs down quite easily at £0.33 a beer! Honestly I’d probably advise you to budget around £500-600 for the math if you’re looking to upgrade your accommodation slightly and throw in a few extra day trips too. For those who are pushed for time or simply want to kick back and relax rather than organise everything on the ground there are also a great range of Cambodia group tours for backpackers which are worth checking out too! 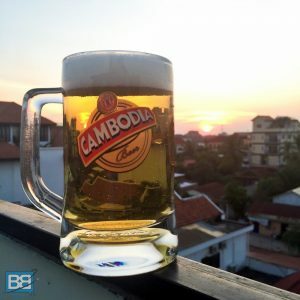 But as far as budget travelling and backpacking goes Cambodia offer up great value for money and it’s easy to see why I enjoy spending heaps of time in this country! Have you travelled to Cambodia? How much did you budget for your time there and is there anything else I should include? You can also grab yourself a Lonely Planet guide to take on the road too! It’s an insanely cheap place to travel hey? Just keep in mind that budget is a starting point, it’ll probably be more in the £500-600 range if you’re doing a lot of day trips and activities. For long term traveller looking to relax somewhere cheap though it’s ideal! My girlfriend and I will be travelling to Cambodia for a month as part of a 7 month South East Asia trip starting next October. Cambodia will be about 3 or 4 months in to the trip after Hong Kong, Japan, Philippines, Sri Lanka and Thailand. With this in mind, we will be looking for private double bedrooms with some small amount of luxury such as private bathrooms, air cons and occasionally a swimming pool where possible. How much extra do you think we would need to add to the £124 you have advised in your budget? Hey Matt, me and my girlfriend actually upgraded a few times in hostels to private rooms which included ensuite, air con and a pool and it cost around $15-20USD per night so it won’t add to much to the overall budget. Stoked to hear about your plans Amber – you’ll have a blast! In most cases the double/twin was for the room rather than per person. There’s a big variety in prices and styles so you’ll have no worries finding something to suit you both!